This months feature called for something a little extra sweet! Wedding, birthday or special event? You name it... these Brazilian chocolatiers are about to win your sweet tooth over & have your guests coming back for more! Allow me to introduce you to Feature #4 of 2018... B's Brigs - Brazilian chocolatiers! We handcraft traditional Brazilian treats called Brigadeiros or as we’ve named them, Brigs. We are husband & wife chocolatiers. We took a 70 year old recipe from B’s grandmother and introduced it to the event industry in the United States. We use simple ingredients, the same ones that B’s grandmother used all those years ago, and handcraft a timeless Brazilian dessert. Brigadeiros have long been used as a vehicle of celebration in Brazil and we wanted to share that with the rest of the world. Our tiny Brigs are made to order & we fashion them in a variety of different ways. We mold them into tiny balls with colorful sprinkles to fit any theme. We have also used the Brigs as cupcake icing, frosting on cakes, flavored lattes, filled mini cones and dipped fruit… if you can dream it we can Brig it. B was born and raised in the beaches Rio De Janeiro, Brazil. Her and her family moved to Southern California in the late 90’s where B grew fond of the California girl surfer lifestyle. Craig was born and bred in Long Beach, California with a passion for fitness. In his “real life” he is a personal trainer, pilates instructor and studio manager. We met in high school and have been together for almost 14 years. The day we met, we knew that we wanted to do something big together in business. After college, we were ready to learn more about business and our mentor shared that the best way to learn about business, is to be in business. Given that Brigs have been part of all our celebrations together, it felt organic to build a business around these special treats and create something that reflected our love for festivities. We’ve been on this Brig journey of a lifetime for almost 3 years and have somehow grown closer and are even bigger fans of each other than when we started. Events industry (weddings, birthdays, showers) , sporting vents, client appreciation, favors & more! B’s grandmother, Olivia, lived on the same base where the Brigadeiro originated back in the early 1950’s. She learned from her friends how to make this delectable treat and spent many years there after not only making them for her own parties, but also fulfilling orders for Military Balls, Weddings & Parties. It was this original recipe and way of making Brigadeiro that spread around the country to become our national dessert. This little treat was then passed down to B’s mother and aunts & eventually to her. We are one of the only chocolatiers that have not gone gourmet or fancy with our Brigadeiros. We have been using the same recipe and ingredients that started it all in the early 1950’s. 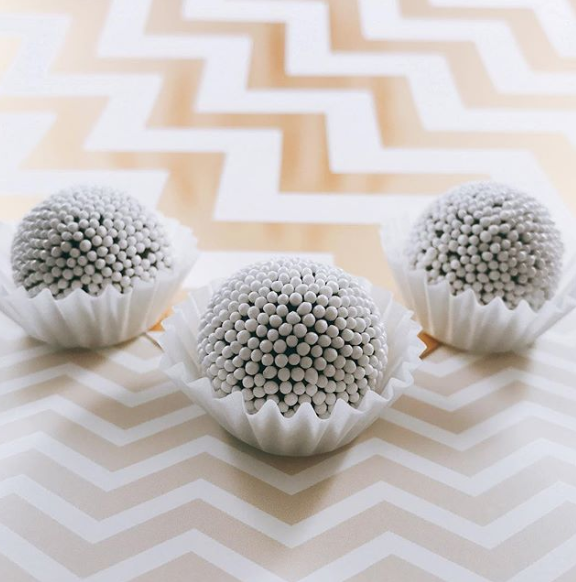 We chose not to change the flavor and nostalgia of that traditional Brigadeiro. If you were to attend a kid’s birthday party or have coffee at a grandmother’s house in Brazil, you would get the same household taste when eating one of our Brigs. We love bringing visions into reality, we feel like we are truly in the business of making dreams come true. Being at the heart of celebrations, whether it be a birthday part, graduation, a wedding or bridal shower, we know that our clients have been dreaming up this day and will remember it forever. It means the world to us that we get to make a mark on this ever lasting memory. We had one very big goal in our personal life & 2018 so happens to be the year where it all came together… we are adding one more to our Brig team & growing our little family! We are expecting a little baby boy named London this summer. & you can bet there will a TON of Brigs around to celebrate this milestone. Our ideal client is a dreamer. We love working with our client’s vision to make an event or moment extra special. We are lucky to have such a versatile product that can come in the shape of a traditional Brig, a cake, cupcake, cone, you name it! The ideal client is open to creativity and excited to make their special experience a sweet one. What makes us so unique is that we have one product that can be customized into anything. From shape, to flavor to overall presentation, these little treats are so *customizable*. We do full scale dessert tables, Brig rolling stations, favor boxes or cakes and cupcakes. There’s a lot of thinking and planning when running a creative company with your significant other, and it’s important to keep the process fun. One example is our company meetings are termed, “Brigstorming sessions,” where we eat Brigs & review our upcoming events and goals. Also, while we are rolling balls in the kitchen, we keep the energy flowing with some of our favorite tunes like Rollout by Ludacris. Lastly, we plan game nights with our friends and are currently obsessed with A Ticket To Ride! Our most memorable and possibly favorite event of 2017 was creating a Brig Rolling Station for Ceremony Magazine’s Pageant of the Wedding Masters event. Our stations are set up so that guests can roll their own Brigs - choose from various flavors, roll it in a topping and take home a box of their own. These stations are very popular at children’s birthday parties & Bar/Bat Mitzvahs but this was one of the first times we set up a rolling station for adults. We had a blast making our treats with wedding industry superstars and seeing what flavor combinations they came up with. We have been busy with graduations and some very elaborate birthday parties recently; however, with the arrival of our little one sometime this summer, who know’s where we’ll be! Brides can expect a full personalized service where we take every detail of their vision and bring it to life. We take the time to sit with our couples and learn about their dreams for their special day, after all, most brides have been thinking about this day since they were little girls. Once we have a shared vision we roll up our sleeves and make the magic happen. Also, they can expect us to come up with creative suggestions for guest favors or interactive stations, if they are looking to do something more than just a traditional dessert table. A special thank you to B's Brigs for being apart of my Vendor Highlight series. 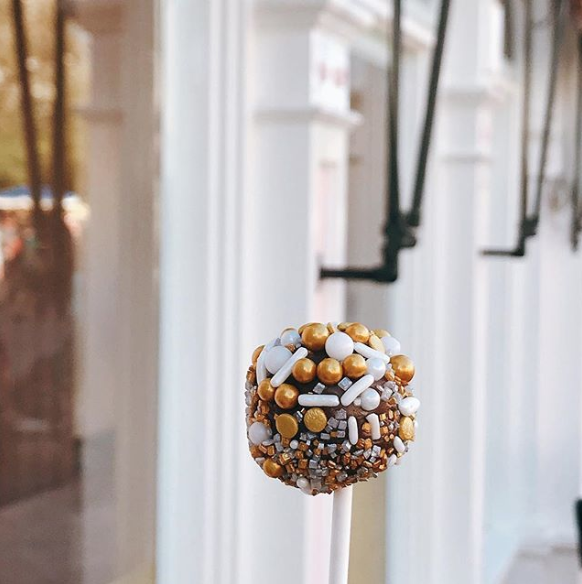 You have built up an incredible company & anyone that gets the chance to have you guys at their wedding or special event is in for a sweet treat! Also, congratulations on welcoming your sweet baby boy London into the world! I wish your family a lifetime of happiness... congrats to you... here's to a wonderful 2018! !